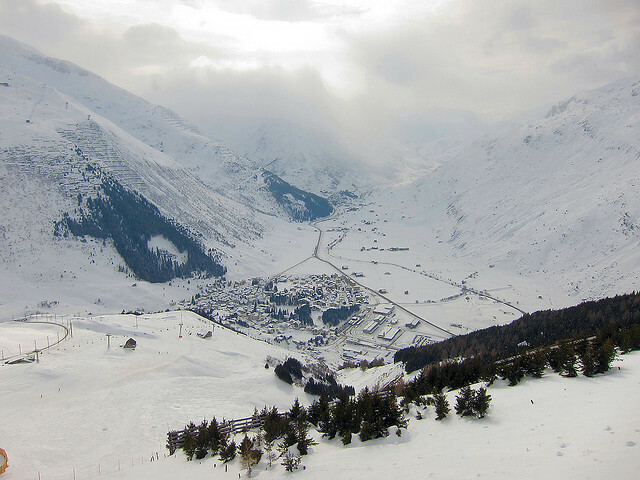 ndermatt is a pretty village with a good snow record and impressive skiing and boarding on the Gemsstock, including some fabulous off-piste runs. Near the station are the sunny slopes of the Natschen which hosts a range of winter activities and provide good facilities for learners and intermediates. The area is subject of a huge redevelopment and what was once a somewhat overlooked resort, is likely to have its pisted area and amenities extended significantly to make it one of the largest winter sports destinations in Switzerland. The Gemsstock is the archetypal off-piste summit. There are so many routes down, most of which are relatively safe, and the mountain gets some fabulous dumps. It has good long runs for intermediate skiers too. The slopes at Nätschen are good for all standards of skier and boarder. The Piccadilly or bar at the River House are probably the best places to meet up after a hard day on the slopes. 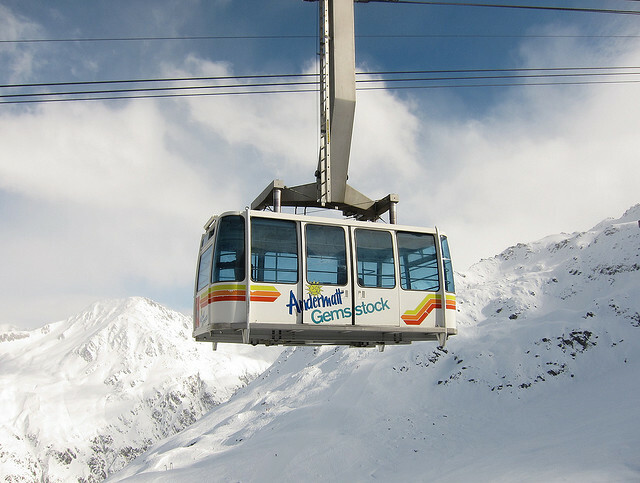 The best destination to access the downhill slopes by public transport in this ski area is Andermatt. Station is adjacent to the chairlift for Natschen, or it is a 10 minutes walk / courtesy bus for Gemsstock. Train to Sedrun. The train from Göschenen to Andermatt is included in the offer. 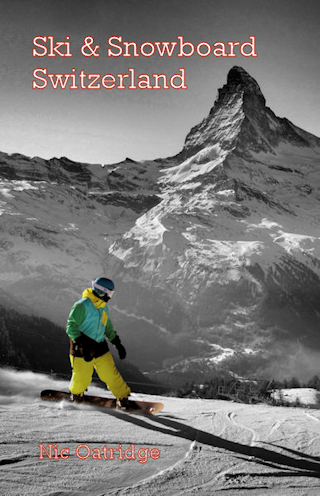 The resort operates the Snow'n'Rail scheme, providing a 20% discount on the combined travel ticket and lift pass. From Zurich the least travel time is 1 hr 53 mins with as few as 1 changes going via Goschenen. Typically, an adult one day combined ticket is 111.20 SFr, reduced to 80.80 SFr with a Half-Price card. From Basel the least travel time is 2 hrs 56 mins with as few as 1 changes going via Goschenen. Typically, an adult one day combined ticket is 148.00 SFr, reduced to 99.20 SFr with a Half-Price card. From Berne the least travel time is 2 hrs 41 mins with as few as 1 changes going via Goschenen. Typically, an adult one day combined ticket is 150.40 SFr, reduced to 99.20 SFr with a Half-Price card. Indicative prices are for travel to Göschenen. Click here to find prices for other destinations. Under the combined ticket scheme the additional charge for a two day pass is 40.00 SFr. The road distance from Zurich is around 109 km and the journey time is roughly 1 hr 25 mins. The road distance from Basel is around 167 km and the journey time is roughly 2 hrs. The road distance from Berne is around 184 km and the journey time is roughly 2 hrs 10 mins. The road distance from Geneva is around 347 km and the journey time is roughly 3 hrs 45 mins. The road distance from Lugano is around 108 km and the journey time is roughly 1 hr 16 mins. Nearby destinations in the region include Sedrun and Disentis.